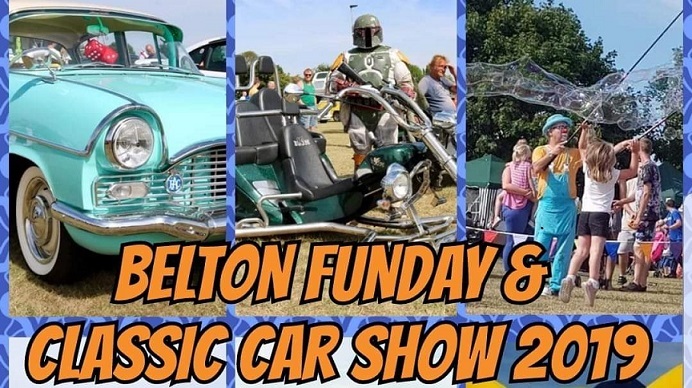 Belton funday and classic car show now in its 5th year this event continues to grow. With 4000 people and 200 show cars attending in 2018 this year's show promises to be just as exciting. Free to enter and free to show cars there is also entertainment for all the family. Punch and Judy shows, character meet and greets, fire breathing displays, circus skills are just some of the fun things to do and see. With about 40 stalls of unique crafts and gifts and of course the show vehicles there really is something for everyone.